Everything Everywhere has agreed to transfer some of its 1,800MHz spectrum to network operator Three, which could enable it to roll out 4G services next year. Everything Everywhere was given the green light by Ofcom yesterday to launch a super fast 4G mobile network as early as 11 September, using its existing 1,800MHz network. As part of the European Commission’s competitive assessment of the merger of Orange and T-Mobile in March 2010 Everything Everywhere was required to dispose of part of its 1,800MHz spectrum. 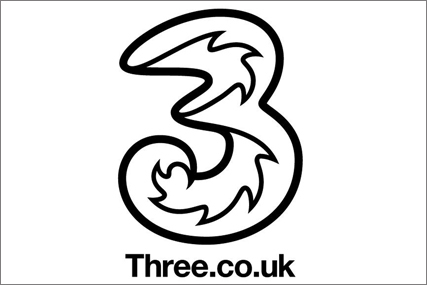 Three has not disclosed how much it has agreed to pay in the transaction, which is subject to review by Ofcom and the European Commission. A decision is expected in the next three months. No timescale has been given as to when Three will be able to use the spectrum, but it could be as late as September 2013, which is the deadline Everything Everywhere has been given as to when it has to be cleared. It is unlikely the chunk of spectrum Three has bought will be enough to support a national 4G network, and it is likely Three will bid in the 800MHz and 2,100MHz spectrum auction planned by Ofcom for the start of next year. Dave Dyson, chief executive of Three UK, said: "Acquiring this spectrum will more than double the capacity available to customers on our network. We have seen a huge growth in data consumption with average mobile handset customer usage now more than 1.1GB per month. "New spectrum, supported by further committed technology spend, is a clear signal that we are committed to maintain our lead as the network built for the mobile internet," he said.